Have you ever experienced the creepy sensation that you’re not the only person in the room? You get a chill, maybe the hair on the back of your neck stands up, and for a second you think maybe you do believe in ghosts. This sensation is commonly reported in people with certain neurological or psychiatric disorders, or those exposed to extreme conditions. In 1970, mountaineer Reinhold Messner reported seeing a “phantom” climber descending the slopes of a particularly extreme summit alongside him. This also happens in people who have recently experienced another extreme condition: the loss of a spouse. In most cases, the sufferer reports the very real sensation of an unseen presence. This is the stuff of which ghost stories are made, but researchers say they know why this feeling occurs, and they’ve even recreated it in the lab. Olaf Blanke, a researcher from the Swiss Federal Institute of Technology in Lausanne, Switzerland (EPFL), first had to find the scientific culprit for these strange sensations. He and his team analyzed brain scans of patients suffering from neurological disorders who experience the ghostly feeling. They found abnormalities in the areas controlling how the brain sees the body, or one’s own spatial self-awareness. These abnormalities “can sometimes create a second representation of one’s own body, which is no longer perceived as ‘me’ but as someone else, a ‘presence,’” says Giulio Rognini, who led the study. “Actually some subjects reacted very strongly and they reported not only that they felt that somebody else was touching them but that somebody else was also present,” Blanke says. For some people the sensation was so strong, they didn’t want to finish the experiment. “This confirms [the sensation] is caused by an altered perception of their own bodies in the brain,” Blanke says. So the next time you feel like you’re being watched, remember it might just be your brain playing tricks on your perception. 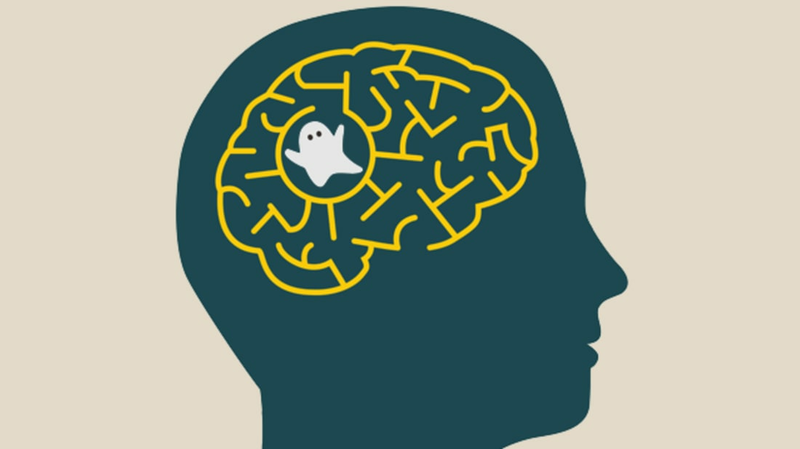 Aside from disappointing ghost hunters, this research could someday help treat disorders like schizophrenia or other neurological and psychiatric conditions.